We had a very busy day in Cornwall today, first, we visited some graves of my Cornish tin mining ancestors. This is at the church cemetery in Sithney, where my great, great, great, great grandparents are buried, Henry and Sarah Champion, along with their 6 year old daughter. There are a lot of wind turbines around Cornwall, we also saw a number of solar farms. And then on the Port Isaac, where the TV series Doc Martin is filmed. The white building at the bottom of this photo is Bert Large's restaurant, with the smaller stone house above it to the right is the Doc's house and surgery. Today we leave Axminster for the Lakes District. Andrew and I have been in England since Monday, staying in Axminster, Devon. We've just completed two days of cookery schools at River Cottage, Gluten Free cooking and Chocolate cookery skills. Both were very interesting and we've come away with a lot of food! We took a few snaps of the garden that features on the TV show. The barn where one of the cookery schools was held- this is the one that burnt down a bit over a year ago. They also use it for functions, the work benches are portable, and can be wheeled out. 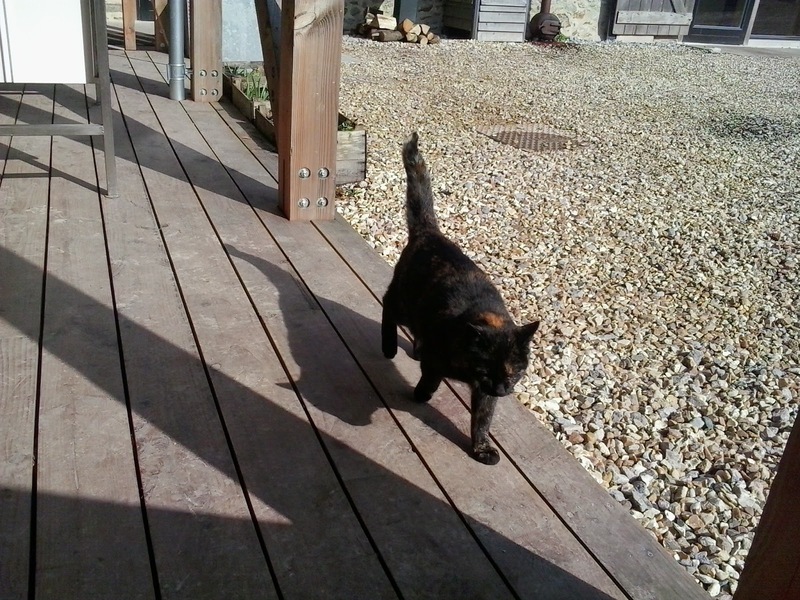 Pudding, one of the River Cottage cats. He sat by the door most of the time, and stood up and meowed every time someone walked past. He likes a pat. It's been a great experience, and we've learnt a lot. Hope to update every now and then before we come home in a couple of weeks. 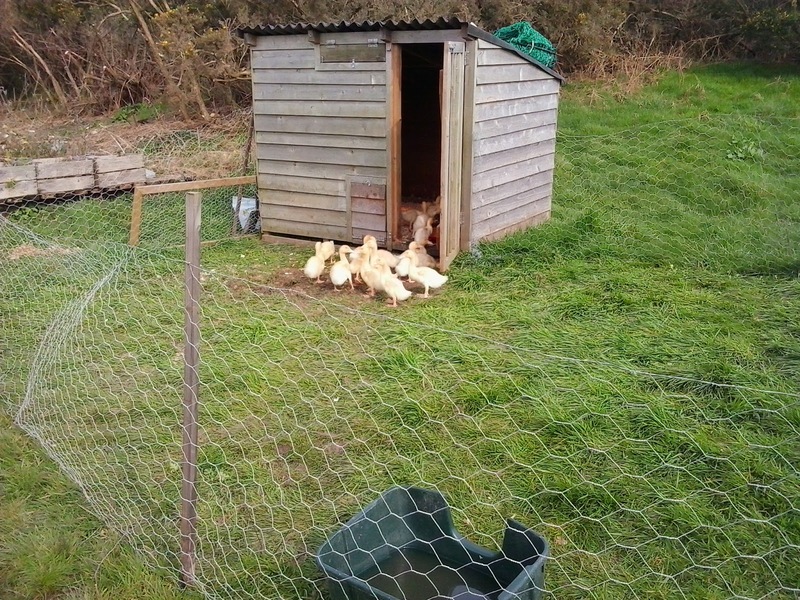 Chook mix (autumn/winter) from Greenpatch organic seeds, a mix of oats, barley, spinach and bok choy. I won't be feeding it to them from the box, or they might eat the foam. Linking up with Jacqui this week from Dusty Country Road, sharing what's happening in the garden. You can head over to her blog and leave a link in her comments if you have a garden post to share this week.